Even though these silk saris appear to be simple, they exude sophistication with their timeless elegance. Dipti recently went to a Pithi (an Indian pre-wedding ceremony) and decided she wanted to change it up so she wore one of our mom’s older silk saris. 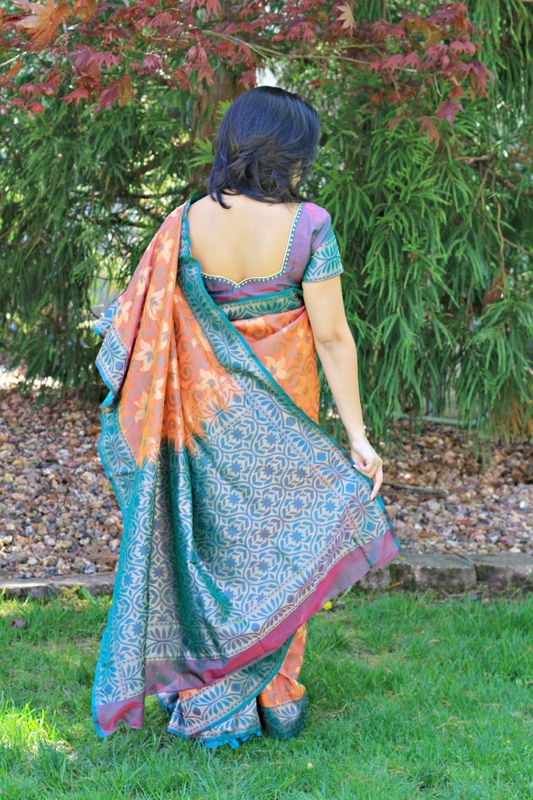 With a low back on the blouse and a bengali style drape (see the drape style here), she was able to bring back a classic sari while giving it her own modern twist. You can dress it up with statement jewels or keep it simple, but there’s no need to let those saris get left behind! Try sporting all those silk saris hiding in mom’s closet too! Naya & Saiyan Turn 5 – Movie Under the Stars!